Let’s start with basic black tights. 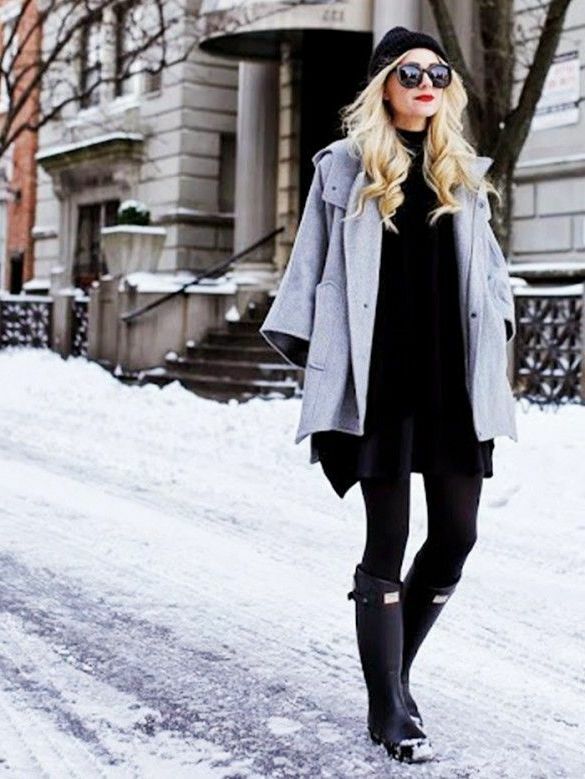 These opaque black tights look great with almost everything, starting with dresses, mini skirts and shorts. 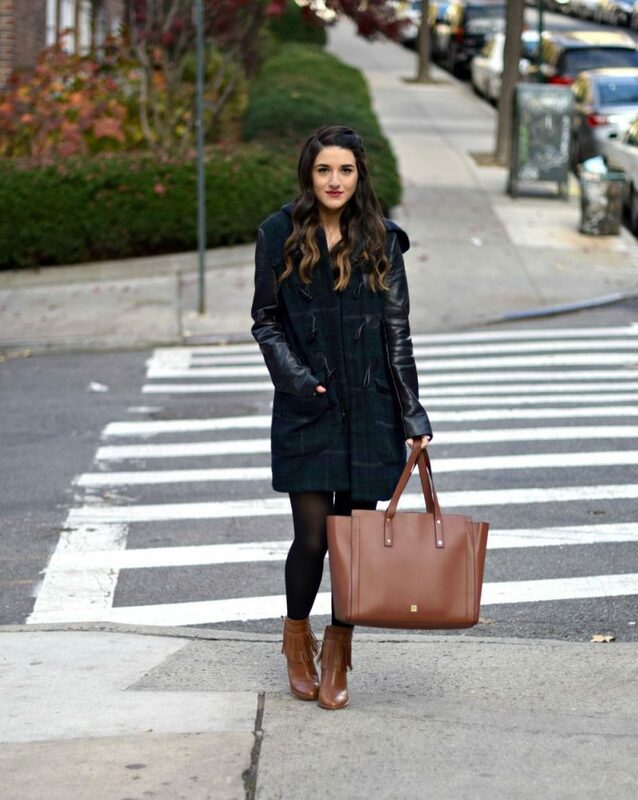 Believe me, these black essentials gonna be your best friend this winter. You can create so many versatile looks. For instance, try on black long-sleeve top and pair it with a high-waisted mini full skirt, black opaque tights, and mid-heeled black pumps. But sometimes we get bored and sick of wearing black all the time. That’s why you can try on something neutral, like grey, brown or white solid color tights. Believe me, there are so many pretty neutral shades you can choose from. Try on white tights and wear them with velvet black high-rise flared mini skirt and cable knit white sweater. 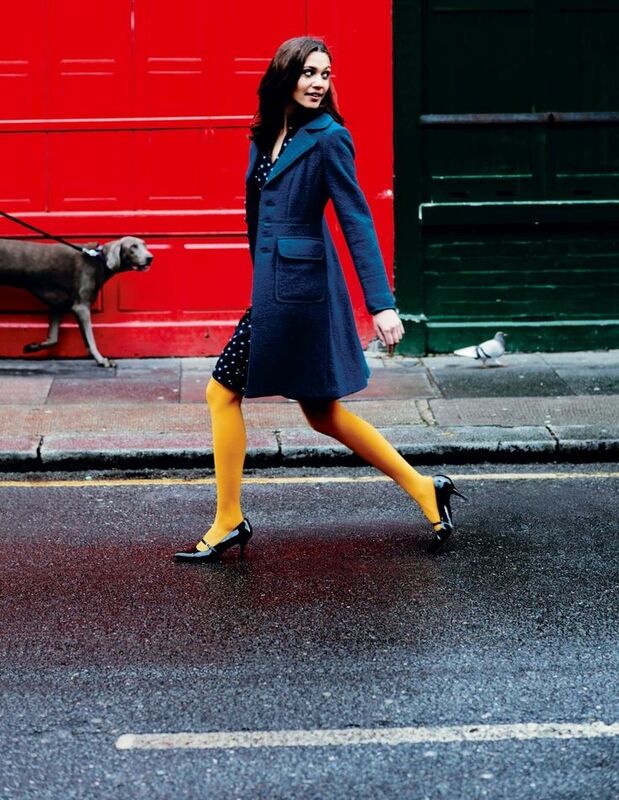 How about wearing brightly colored tights? They gonna underline your fun spirited style. Believe me, this is a perfect way to liven up your outfit and make you look very special. Try on orange tights by wearing them with a dark blue tailored coat, white dotted black shirt-dress and black glossy leather pointed-toe pumps. If you are in search of something ladylike and retro-inspired, then why don’t you try on tights with an overall skirt? The result looks vintage and very individual. 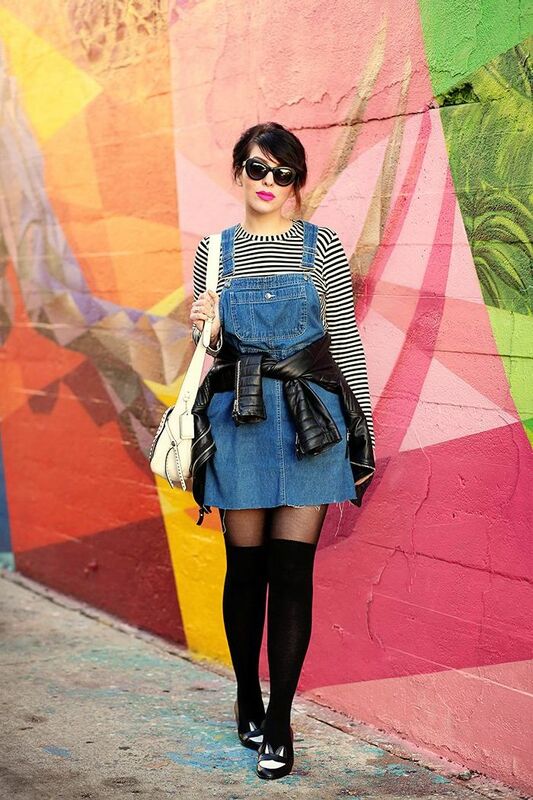 You can either choose velvet 1970’s inspired overall skirt or keep things 1990’s inspired by choosing denim ones. 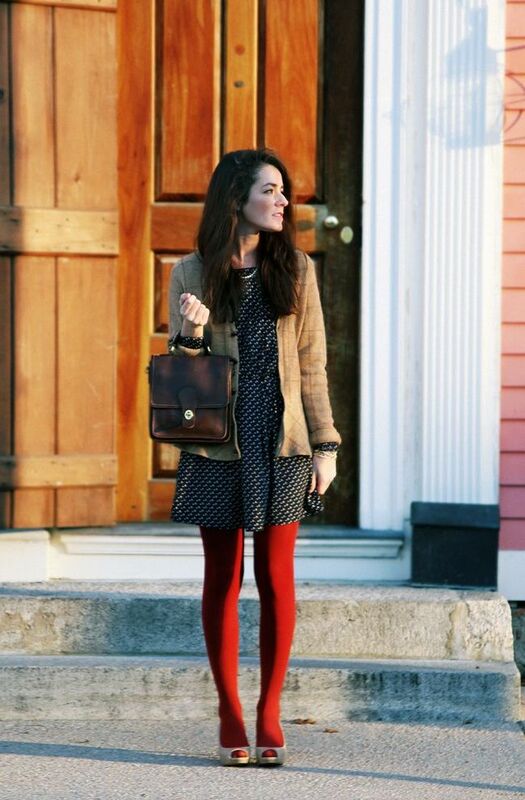 The last but not least is wearing tights with your lovely shorts made of velvet or denim. The velvet shorts look dressy, that’s why you can add a striped top to create a nice outfit that can be worn to meetings and lunches, or you can keep things casual by adding denim shorts and a plaid shirt that will look grunge-inspired.